We all know almost one marketing campaign that we’ll never forget, because it’s so genius that it’s burned into your memory. It’s a great experience for us as customers, if you’re able to laugh, cry or love for a second, thanks to a campaign but it’s even greater for the brands that enjoy all this media attention. And be honest, don’t we all wish that our brands and campaigns go viral? In our article from today we’re going to find out what the secrets to viral marketing are and from which campaigns you can learn the most! In 2010, the Dutch Royal Airlines launched their KLM Surprise campaign. Over a period of several weeks, they surprised their passengers with small, personalized gifts after they announced through Twitter that they were flying with KLM. A running watch, bigger legs room on the flight and even just a little amount of energy food, people all around the airport had a smile on their face. And while bringing happiness to the people, KLM also brought happiness to their selves, because this viral marketing campaign had over 1.000.000 impressions on Twitter alone. The perfect example of a successful campaign, don’t you think? Another great example of a viral campaign is the ‘Cinema bikers’-campaign from the Belgian Carlsberg. With a very strong life lesson and a powerful reward, you’ll be able to rock the internet, just like Carlsberg. Don’t judge people for their appearance, just sit down, relax and drink a beer! With 19,5 million views on Youtube, you could definitely say that it was very successful! Dove is a very powerful brand that has multiple viral campaigns on their record, so you could definitely learn a lot from them! For example, their campaign in 2013: ‘Dove Real Beauty Sketches’, which is all about the difference between how you see yourself and how other people see you. The official Youtube video of this campaign got over 5,7 million views and it was shared millions of times on social media. Another great example is the ‘Dove choose Beautiful’-campaign from 2015, in which Dove supports woman to see how beautiful they are. The Youtube video of this viral marketing campaign got over 6,7 million views on Youtube and created a massive response from woman all around the world. Great job Dove, you did it again! So, how to go viral with your own marketing campaign? People are the key to success, if you want your viewers to connect with the campaign, it should all be about your target audience! Reward your viewers with a smile, a gift or just an act of kindness, humor and happiness will strengthen your campaign. Your campaign should be thoughtful and relevant, if you really want to reach your audience, you should really try to find the best connection between you brand and the campaign. Audio-visual content works the best, why would you just tell your story if you could also show it to the world? Don’t be too focused on the results, enjoy the fun of making the campaign and the rest will follow! Create content that challenges people to respond and react to your campaign, that’s the whole thing about going viral! Make your campaign easy to share, this way it will be more likely to go around the world. Social media are the best way to launch your viral campaign. 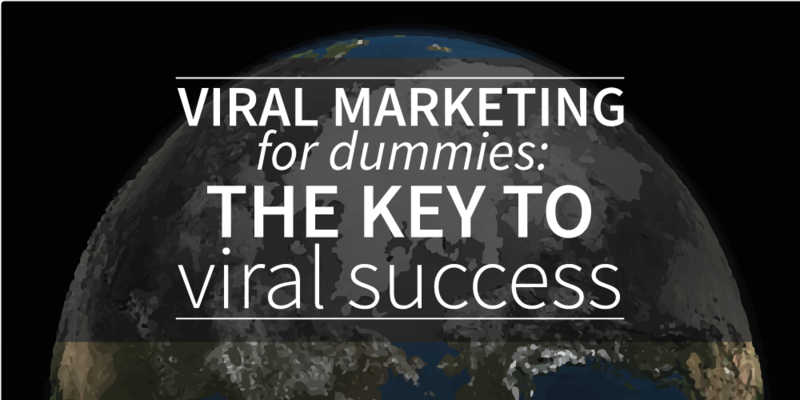 With these tips you’ll be able to make a very good start with your own viral marketing campaign, good luck!